Solution for installing Z, U, H-pile profiles and foundation piles in groups of 2 to 6. 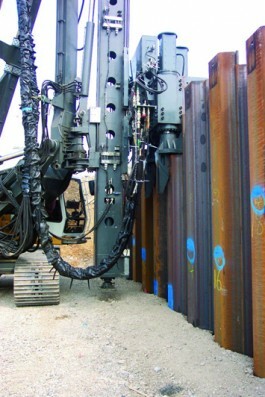 Because the pilers are mounted on leaders, the operation to make the piles vertical is optimized. Auxiliary cranes are not required to position the profiles with this system. DAWSON offers silent pilers for mounting on any type of carrier equipped with a leader. When hiring these machines, a full rig with operator is provided. This technique provides a very high pressing force of up to 2,078 kN per cylinder. 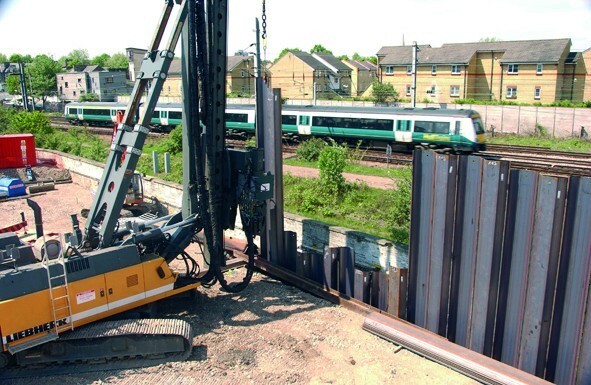 This solution can also operate with several cylinders to deliver extremely high speed piling. There are 5 models equipped with 2 to 4 cylinders.